What does HIPAA stand for and how does it affect medical billing and coding? The acronym HIPAA stands for the Health Insurance Portability and Accountability Act which was passed by Congress in 1996. Title 1 - Establishes insurance coverage requirements and protection for employees and their families when they change jobs or become unemployed. Title II - is called Administrative Simplification. It sets standards and requirements for electronic health care transactions and required national identifiers for providers (NPI), health insurance plans, and employers. Title II is also established important requirements for protecting the privacy and security of patient health information. It also created programs to prevent health care fraud and abuse. HIPAA is being enacted over a period of several years and we are still seeing it's provisions enacted. With regard to HIPAA’s impact on billing and coding - it’s been huge and far reaching. Starting with the implementation of the NPI (National Provider Identifier) a few years ago. While this may seem simple - assigning a unique number to providers - in reality it was very expensive for some. At the time many practice management software programs used to create insurance claims did not have provisions to include this number in their claims - either electronically or via paper. So this required upgrading the providers software which can be expensive and disruptive. This also affected the paper CMS-1500 form which had to be updated to accept the NPI. But NPI was only one of several HIPAA mandated changes. There’s also changes in how electronic health and payment information is exchanged as well as increased security and privacy requirements which affected not only the IT (Information Technology) systems but also the processes that are followed by the physicians billing and support staff. For small practices that are already overwhelmed, you can see where these kind of changes can be very disruptive and expensive. There’s also upcoming changes requiring the use of ICD-10 diagnosis codes in place of the currently used ICD-9 codes. This is scheduled to take place in October 2014 and will really require preparation by providers and their support staff. So in summary the impact of HIPAA to billing and coding process has been significant and will continue to be. 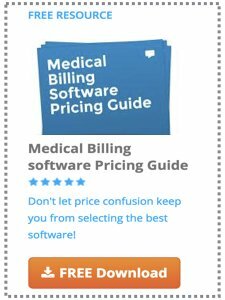 That’s why it’s so important for medical billing and coding specialists to keep up to date with current issues like HIPAA and other regulatory changes in the healthcare industry. More information on HIPAA Laws can be found here.